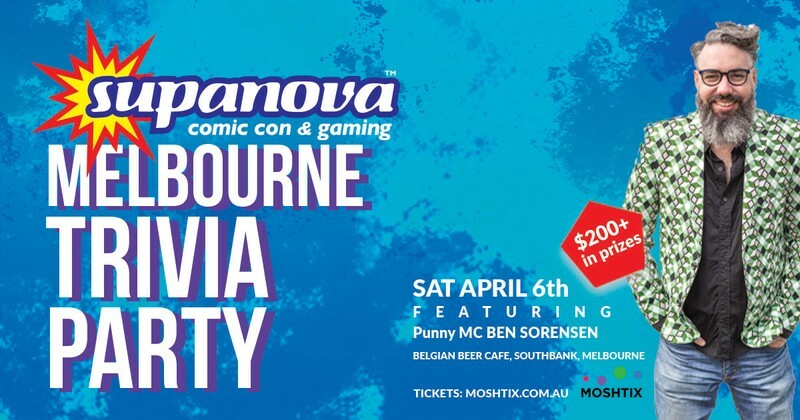 Supa fun trivia night celebrating Supanova Melbourne! Do you know your Marvel from your DC, your Wizards from your Muggles, are you attending Supanova Melbourne? Then come and party with punny MC and experienced Trivia Master, Ben Sorensen, as he asks the BIG trivia questions in a fun night with great prizes! Trivia with teams of up to 8 people, then some daggy dancing after! Psssssstttt...there's even a cocktail special if you're wearing a Supanova wrist band and cosplay is encouraged! Up for a hint or some practice? Check out the Insty page.